Camping isn’t camping without smores. But they make a huge mess. 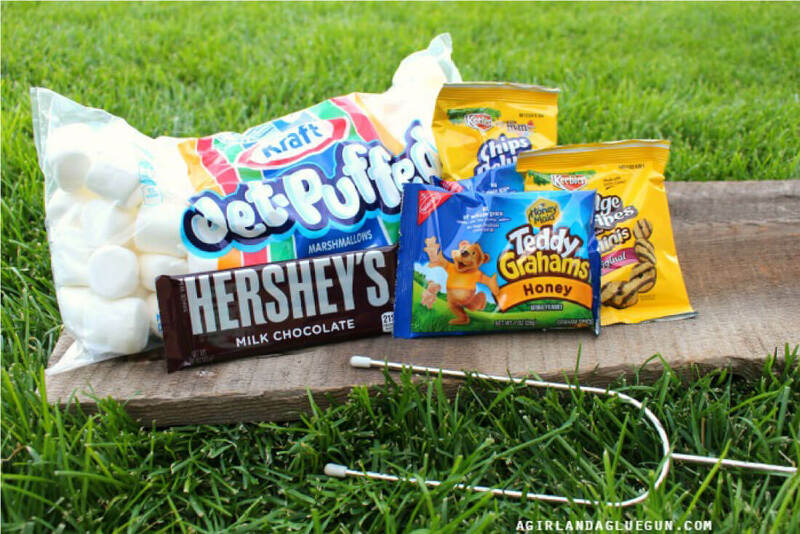 With this s’mores in a bag idea, the mess is gone!! Josh’s family grew up camping. Mine did not. He still enjoys it. I don’t so much. But I do like all of the yummy food and treats. And having good camping recipes and hacks definitely helps to have a fun time. 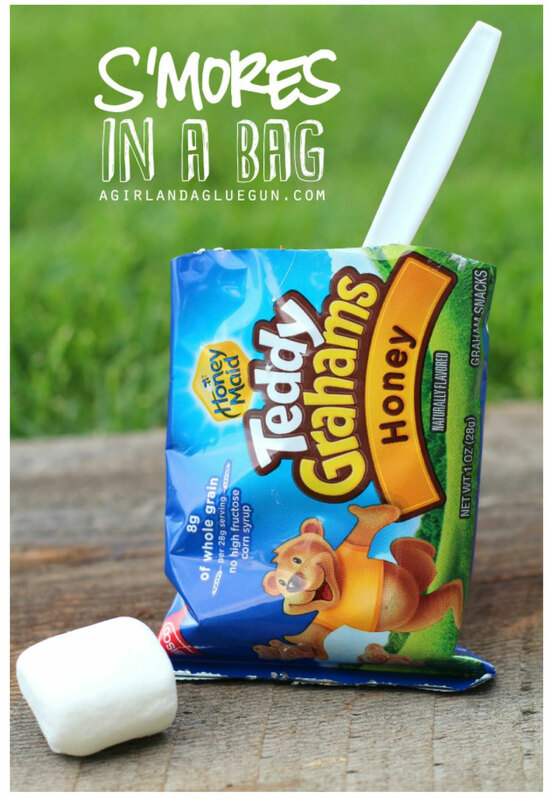 I’m excited to have the awesomely funny Kimbo from A Girl and a Glue Gun to show us this idea for smores in a bag! 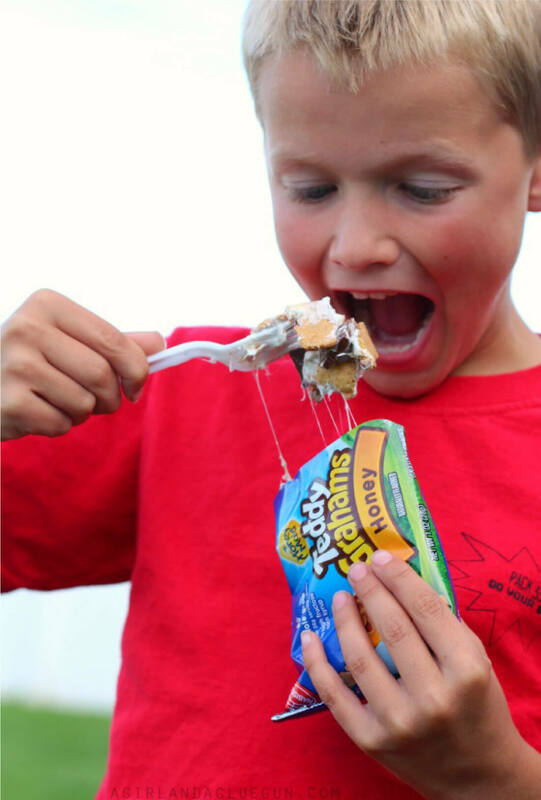 and of course….Camping isn’t camping without S’mores! And I had a light bulb…why not combine the two! TACO S’MORES! Okay. 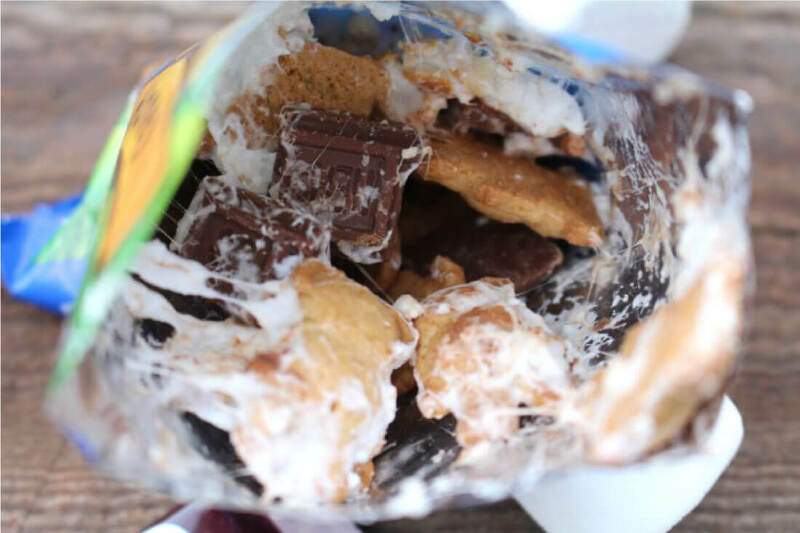 no taco s’mores…how about S’mores in a bag! 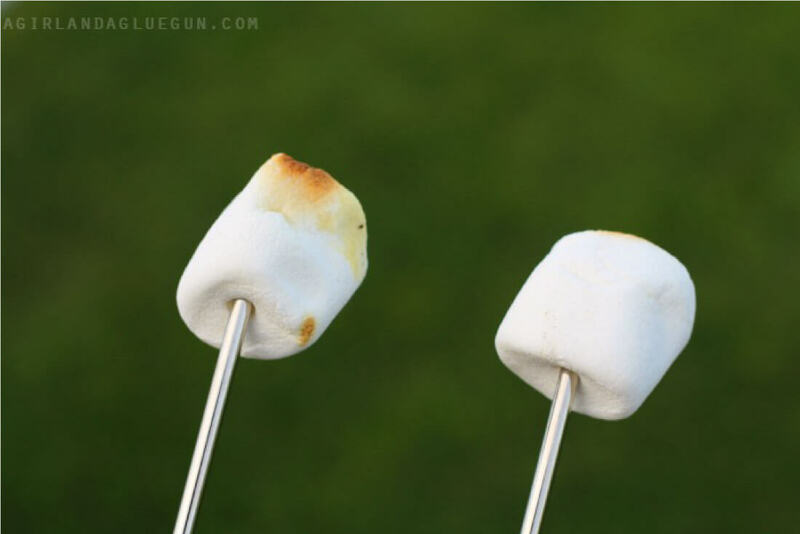 Gives you the yumminess that is s’mores..without the mess! Pick your cookies and open them up. 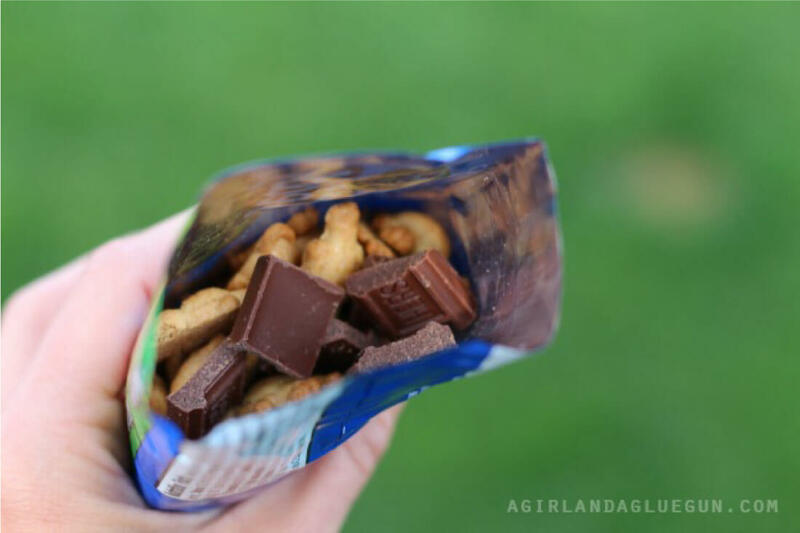 Break up some chocolate and put in the bag. and roast—I’m a very light brown toasted fan. 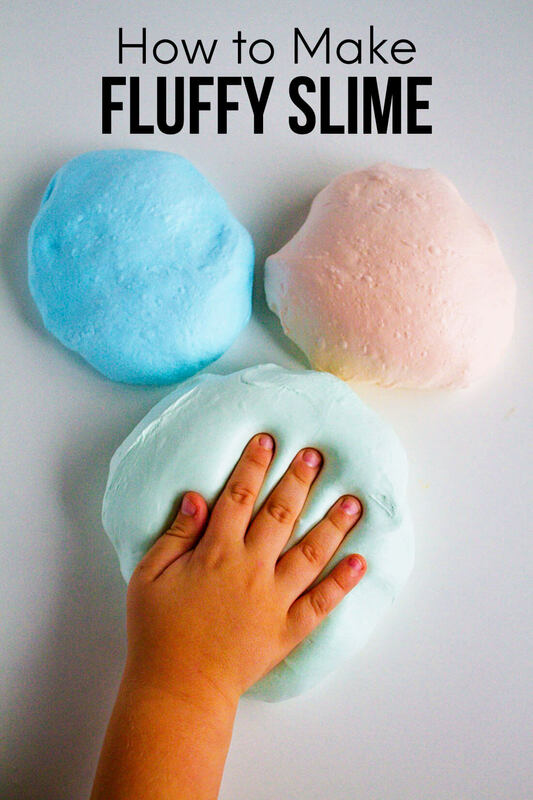 After you have it done to your liking…slid marshmallow into bag and mix it all up! and enjoy! They are PERFECT! and no sticky hands! 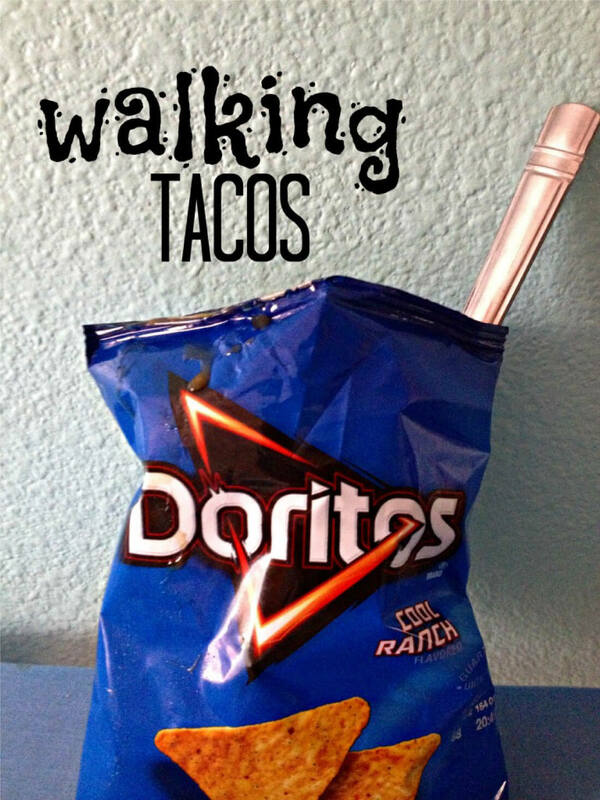 Perfect treat for camping, right? Yum!! I love this idea!!! So much fun! What a fantastic idea. My kids will love this sharing with my readers! What a cute idea! 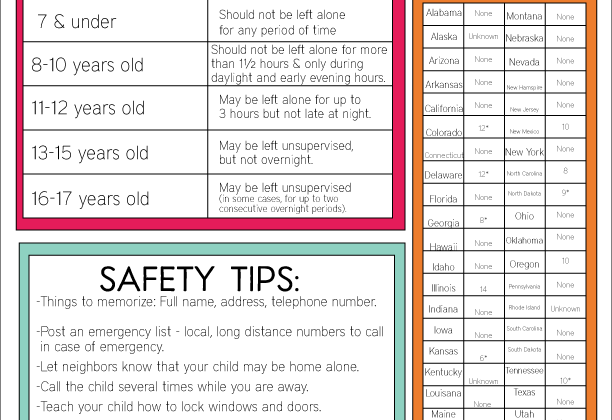 I think my kids would love this.